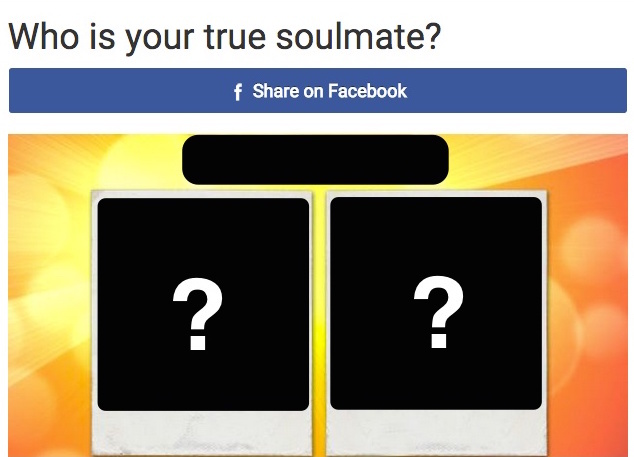 WARNING: 'Who's Your Soulmate' Facebook Quiz Is A Virus! A new virus that is after your personal information has surfaced again on Facebook. There is a post being put on peoples Facebook pages with the intriguing question ‘Who Is Your Soulmate?’ from a quiz company. It sends it to your friends making them think you sent it to them. When they open it up, it tells them to type a certain number to clear the screen. This is a virus! Please, if you see this on your Facebook page, delete it. Do not open it! Tell your friends that you have not sent them a quiz and to not open it!